I go online and read articles like anyone else. I’ve been reading and watching videos about what other people think are the top ten to seventy-two top games of 2016. I’ve been finding these to be a bit disappointing though. It’s like everyone isn’t paying attention to some of the games that I think should be on everyone’s radar. This upsets me, yet it has also motivated me to create this top ten most anticipated games of 2016 list. This list is essentially my must have. I will also include a trailer for each of my choices for you to enjoy. Hopefully, this will help you to understand why I’m so excited about these games for this upcoming year. 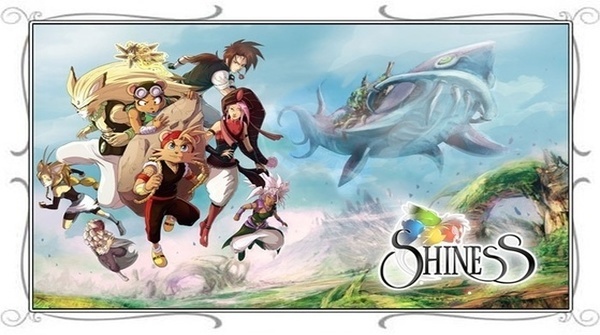 Shiness: The Lightning Kingdom is being created by french developer Enigami. This is their first game. For their first game, they decided to make their own world with their own artstyle. For a first game, this is not only extremely ambitious, but it takes fortitude. Shiness: The Lightning Kingdom is an RPG that I believe may be leaning a bit towards the open world direction. Unique characters, events, and actual combat fighting. I can’t wait. To me it looks like the perfect marriage between a JRPG and a Western RPG that I think any fan of either genre might enjoy. Here is a link to the website for more information. My number nine choice is ReCore, and the reason why it is only at number nine is because it is a Microsoft Studios game. I don’t own an Xbox One, but if any game drives me to purchase the console, this will be the one. I want to play and explore in this world. It almost feels like I have to do so. It’s unique artstyle and the possibilities of what may be achievable with an AI counterpart are exciting to me. I can’t always get a co-op partner, and an AI co-op partner sounds like a great idea to me! I also tend to become a little overly attached to game characters, and I think the possibility of falling in love with this world and environment is highly possible. 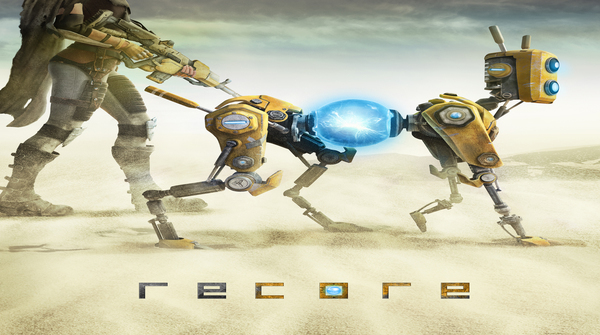 Sadly at present ReCore has been delayed, which may be why a lot of people are not talking about it, but I am still hopeful that a 2016 release is a real possibility. I don’t think game delays are a bad thing; in fact, I wish more companies would delay a game rather than releasing a buggy hot mess that we as gamers have had to endure in recent years. Learn more about this title here. 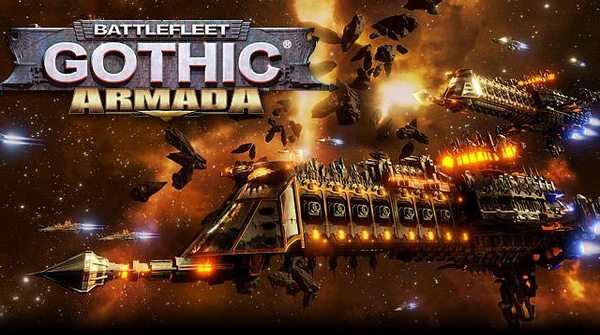 Combine a Real Time Strategy (RTS) space simulator with the Warhammer 40K license and you know I’m going to immediately want to know more about Battlefleet Gothic: Armada. For anyone who doesn’t know, Battlefleet Gothic is a table top specialty game created by Games Workshop. It has lovely intricate models that detailed visually the space fleets of the 40K universe. Up until this point, space battles were only represented in fandom. This table top experience was most popular in the late 90’s and early 2000’s. I am actually surprised that it is getting the video game treatment. However, I’m not complaining at all. We are seeing more and more games from Games Workshop being brought to life in this format, and I can’t wait for things to get a little Orky! I’m hoping Orks are going to be in Battlefleet Gothic: Armada. At present the only forces I know for sure are the forces of the Imperium of Man and Abbadon the Despoiler. Then my next thought is what about the Tyrannid Hive Fleets? I can’t wait for the release of this title. Check out the website. The term Space Hulk has been given by the Imperium of Man to the wreckage of any starship or mangled twist of multiple starships and artificial debris fields found drifting through the vacuum of the Milky Way Galaxy without any apparent direction or power. 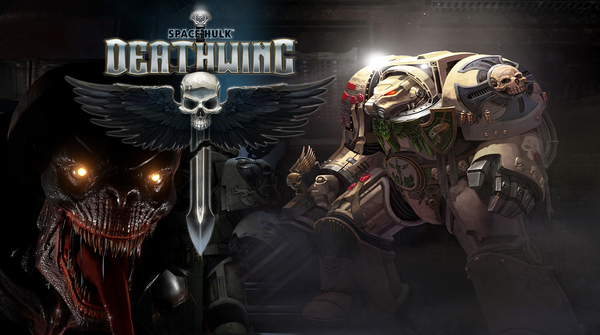 For the first time ever in the history of the franchise, Space Hulk: Deathwing is going to present us with the ability of experiencing all of this terror in the form of a First Person Shooter (FPS). Sign me up, please. On a personal note, I have a Warhammer 40K cannon Space Marine inspired after me. His name is Sankillria, and he is a Dark Angels Terminator that is part of the Deathwing. I’m quite curious as to if he’ll make an appearance in Space Hulk: Deathwing. Click this link to learn more about the game. I’m not really caught up in the whole free runner craze, probably because I’m a short and tubby guy that will never be able to preform any of these feats in real life. 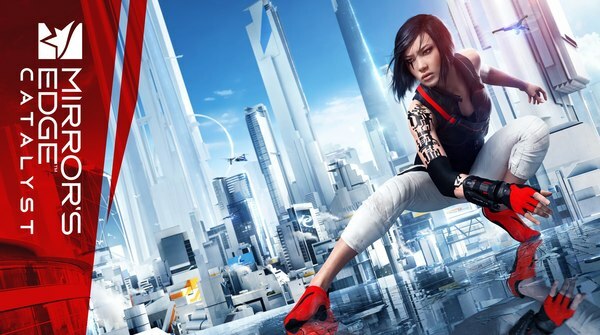 However, after watching the gameplay video for Mirror’s Edge: Catalyst, I want to experience this adrenaline fueled phenomena. The corporate theme in Mirror’s Edge: Catalyst is something that any cyberpunk fan like myself would enjoy. Not only is this a free runner experience, but there is a combat system as well. This has certainly peaked my interest, and I have to play it. Visit this website for more information. If someone asked me if I would like to play a Batman game, my answer would be yes. What about a TellTale Game? Still a yes. Now picture combining these two together. Oh yeah! 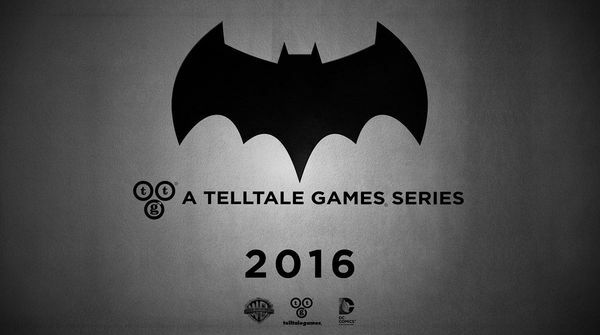 Batman: A TellTale Game is coming out in 2016. One thing I’ve discovered about myself is that I really love episodic games. However, I also hate the monthly wait for the next episode. When it’s a TellTale Game though, it’s usually worth the wait. You can obtain all the latest news for this game here. I really enjoy the Monster Hunter games from Capcom. When I found out we were getting a Final Fantasy game for the 3DS that had Monster Hunter inspired combat, I was immediately in love. Also, it will have Job Classes! Anyone that knows me knows that I love games that have Job Classes! It’s also a multiplayer game that allows you to play with four people locally or online. The more I learn about this game, the better it keeps getting! 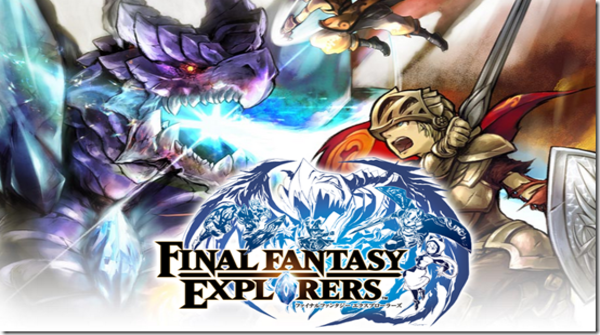 Final Fantasy Explorers is already available for purchase. Enjoy! Click this link for more information. 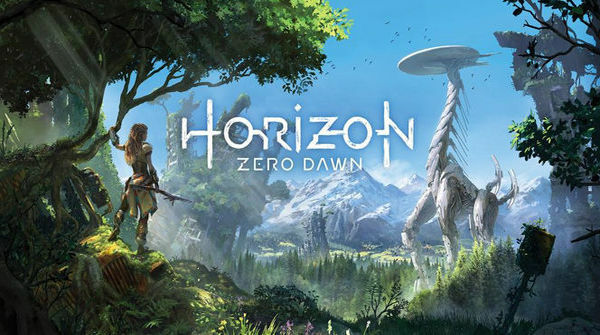 Hunting robotic dinosaurs in a dystopian open world with Dark Souls inspired combat and a Tomb Raider bow; that is how I would describe Horizon: Zero Dawn in one sentence. I don’t fully understand what is going on or what Horizon: Zero Dawn is all about. All I know is that I want to play it now! Click here to learn more about the game. Unleash the WAAAGH! 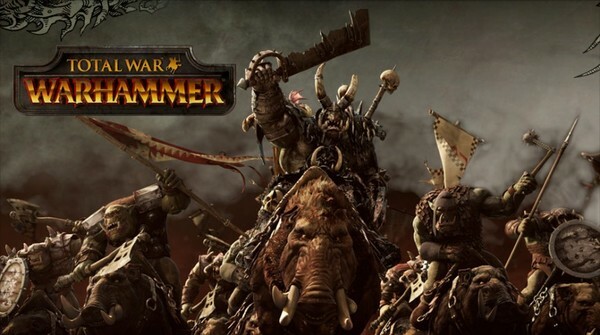 I doubt anyone who knows me is surprised to see Total War: Warhammer on my list. I think the only surprise that will shock some is that it is coming in at number two and not at number one. Creative Assembly is recognized worldwide for their Total War game series. It is a great series, but be warned, at launch these games tend to be a bit buggy. You may want to wait for a couple of patches before purchasing. For those players who have had issues with the online matchmaking system in the past, expect nothing to change and those same complaints to still exist in Total War: Warhammer. Finally, Warhammer Fantasy fans can rejoice. We can finally take our table top battles to war online! This is a dream come true for any die hard player of Games Workshop’s table top franchise. The next question is when will we get this same treatment to the Warhammer 40K license? Visit Creative Assembly’s website for more details. 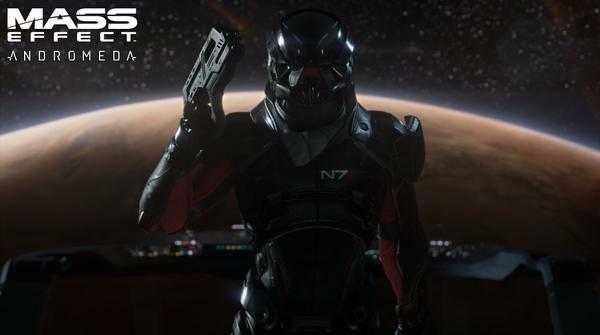 Discover a new galaxy in the Mass Effect franchise is the sales pitch that I am buying hook, line, and sinker. The only thing I have to know about this is that Bioware is making a new Mass Effect game. I hope it’s another trilogy! I’m not big on pre-ordering, but if I pre-order any game this year, Mass Effect: Andromeda will be that game! The N7 lives in my heart. It should live in your heart as well! Shortly after writing this segment it was announced that Mass Effect: Andromeda will be pushed back to 2017. I’m confident that this means the game will be even better and include more features! 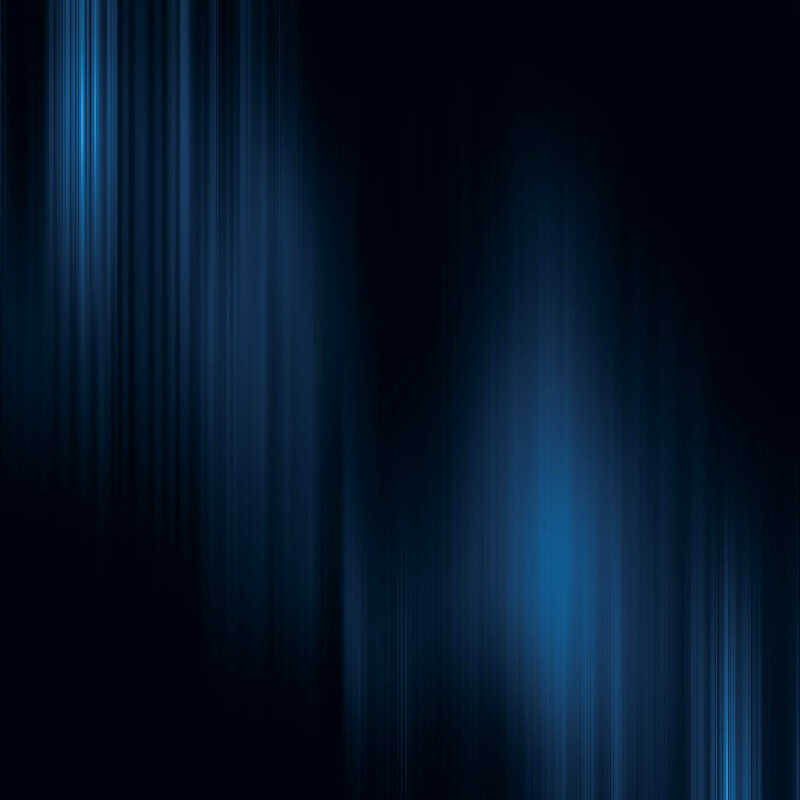 Celebrate the N7 here. That does it for me. 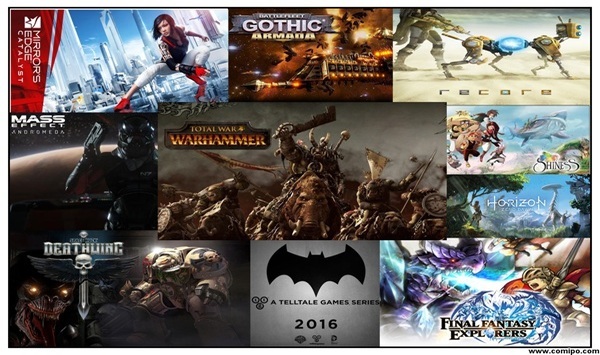 These are the games that I’m most excited for in 2016. Did you learn about a title you were not previously aware of? Do you have a top ten list that you want to share? Share your thoughts with us @EverydayGamers. This entry was posted in Features, Post, Stories and tagged 2016, 3DS, Batman: A TellTale Game, Battlefleet Gothic: Armada, Bioware, Creative Assembly, Cyanide Studios, Enigami, Final Fantasy Explorers, Focus Home Interactive, Horizon: Zero Dawn, mass effect, Mass Effect: Andromeda, microsoft, Mirror's Edge: Catalyst, nintendo, PC, playstation, ps4, ReCore, Saint Killjoy, sega, Shiness: The Lightning Kingdom, sony, Space Hulk: Deathwing, steam, Telltale Games, Total War: Warhammer, Travis Patterson, xbox one. Bookmark the permalink.